Commonly known as the fan flower, Hot Rox Scaevola have a naturally trailing habit and are prolific flowering. Crystal has crisp white fan shaped flowers tinges with blue covering its stems continuously throughout the summer months. 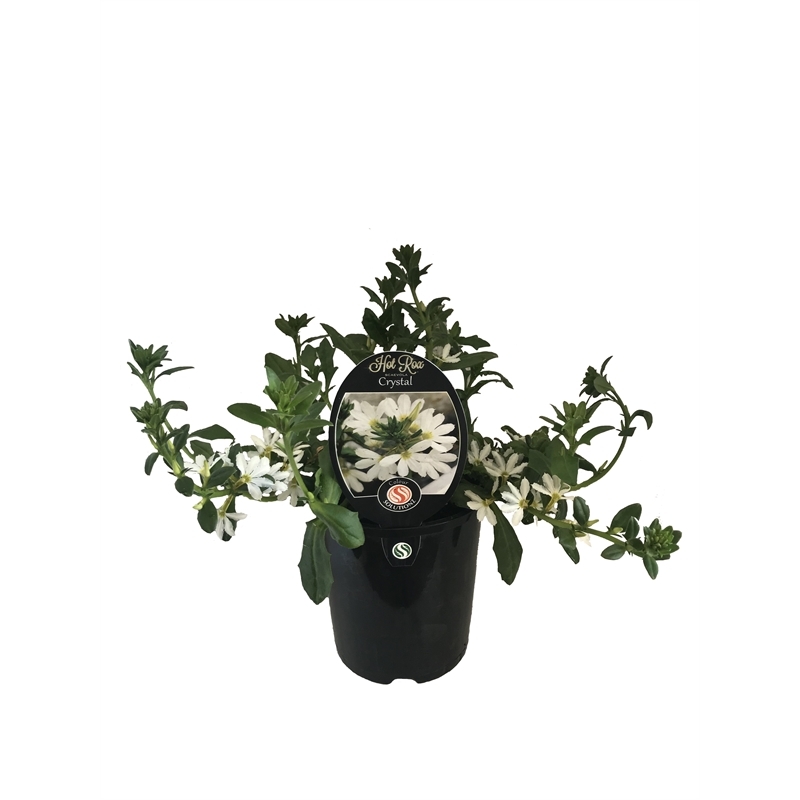 Hot Rox Scaevola are the perfect low maintenance choice for hanging baskets, containers and borders.